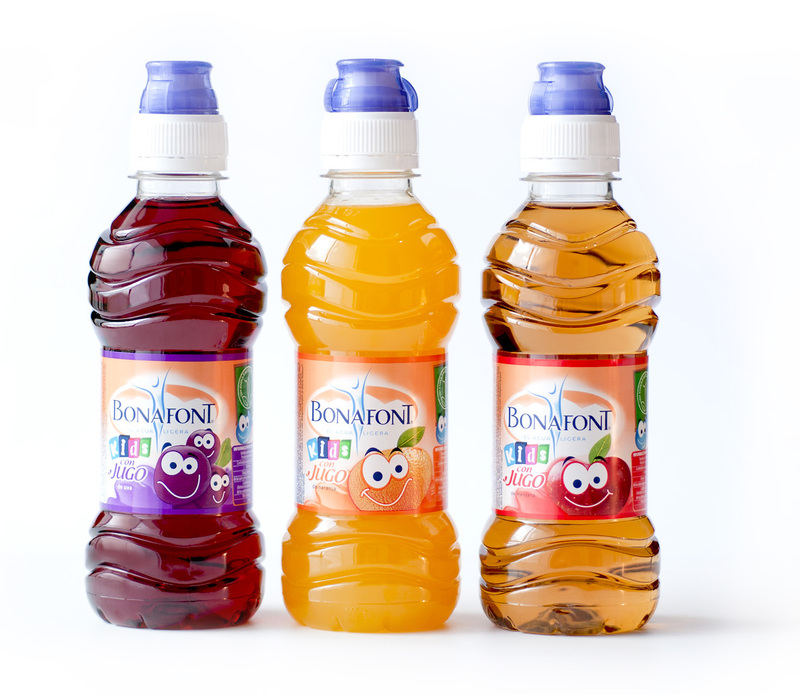 Bonafont Kids with juice is a line of flavoured waters from Danone for the mexican market. It is specially produced for the children segment. In Brazil, Bonafont sells plain mineral water using the same bottle pattern used for flavoured water in Mexico. Considering this, we developed a bottle for the kids segment following the already established Bonafont line. The project mantains the identity of Danone´s mineral water line and maximizes the visual appeal for kids. Enhanced by spiraling forms, funny and attractive, the bottle is also beautiful and safe. Textures on the bottle highlight bright spots giving the beverage more appeal. Bottle sport caps ensure safety while drinking. Industrial designer Joe Wallace from O3 Design explains: `We created a water bottle industrial design that is very comfortable in chidren´s hands and has a rounded format, resembling kid´s classical toys. We sought for a playful concept that would result in an adequate product aimed at children. Therefore we transformed the bottle into a little character, keeping the identity of Bonafont´s products. The labels for the bottles were developed by designer Oscar de la Cruz, from our partner studio in Mexico. Check here for other water bottle projects .